Have you heard about Germán Garmendia, Kéfera or Whindersson Nunes? You should! They are part of South-America’s biggest YouTube stars, bringing together more than 35 million followers on their social media channels and making hundreds of thousands of dollars a year only by YouTube ads. In the ten years since its launch in 2005, YouTube became the most dominant and frequently used video site worldwide. YouTube announced that every day people watch hundreds of millions of hours on YouTube and generate billions of views. Their primary target audience is people between 18 and 49 years and more and more Youtube is becoming the “TV on demand” where you can watch whatever you want, whenever you want, wherever you want. No wonder more companies nowadays opt to spend part of their advertising budget online. Big brands and corporate marketers are trying hard to win over YouTube stars to promote their brand or products in their YouTube videos. In Brazil and South-America it’s no different. South-American YouTube influencers like Germán Garmendia, Kéfera, and Whindersson Nunes are becoming superstars and attracting big advertisers. Top online celebrities continually produce new content on YouTube as well as other digital platforms such as Snapchat and Instagram, receiving money from advertisers proportional to their video views. Because commercial interests are more and more shaping videos of Internet stars into carefully-crafted brand promoting videos, the need for professional production companies becomes higher. Due to the assistance of these companies, many of these YouTube stars nowadays have the opportunity to establish their brand outside the digital world. Deals with television and recording studios as well as merchandisers are being signed, and real life stars are being born. Internet stars such as Germán Garmendia, Kéfera, and Whindersson Nunes receive daily hundreds of fan messages and are being stopped in the streets by screaming fans and asked for photographs continuously. So who are Germán Alejandro Garmendia Aranis, Kéfera and Whindersson Nunes? If you’ve been living under a rock, we will give you a little cheat sheet. 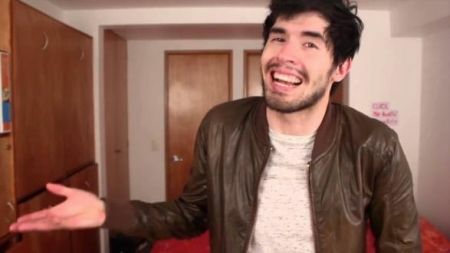 “HolaSoyGerman”, Germán Alejandro Garmendia Aranis’ channel, is currently the second most visited channel worldwide with over twenty-three million subscribers. He uploads comedic videos about everyday teenage/adult issues. The 25-year-old Chilean boy began his YouTube channel in 2011 and ever since his success has not stopped, receiving approximately $ 1.3 million of annual revenues. On August 2014 and 2015, he won the “Icon of the Year” prize from MTV Millennial Awards. 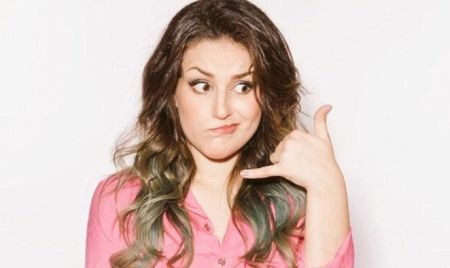 Kéfera Buchmann brings together almost 8 million followers on her YouTube channel, “5inco minutes“, which is the fourth most watched channel in Brazil. The idea is that every video lasts maximum 5 minutes because otherwise the watcher might get bored, she explains on her channel. Last year, her book “Muito Mais Que Cinco Minutos” was published in which she talks about her life as a super sensitive girl who was bullied and instead of giving up, she became a strong, cheerful woman who serves as an example for thousands of boys and girls. Kéfera is also going to play in the new comedy from the director of ‘S.O.S Women Overboard’, Cris D’Amato. The story is based on a children’s book of Thalita Rebouças, “A Fairy came to visit me.” For cinemas, the title will be ‘It’s a Fairy’, and as the title suggests, Kéfera will be a fairy (i.e., the protagonist), a clumsy one, who will have the mission to help a girl who will be played by Klara Brown. The youtube star already confirmed the news on social media, driving millions of fans crazy. 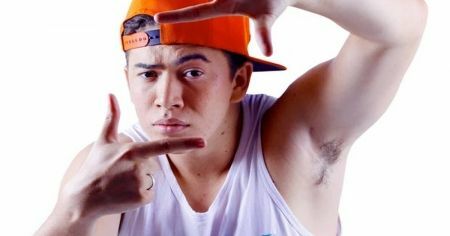 Whindersson Nunes, with his channel “whinderssonnunes”, became successful on YouTube with his parody on “Alô vó, tô reprovado”, which had more than 5 million views in 3 weeks, and after one month Whindersson’s channel became the largest of north-east Brazil. Currently, his channel has over 7 million followers. Besides posting videos on YouTube, he travels around Brazil giving shows and stand-up comedian performances. Recently, he also launched his first CD with the music that made him successful on Youtube. On BlackFriday, we were proud to star a campaign with Whindersson Nunes for our retail client Nagem. The video reached 496.112 peolple in the north-east and the followers of Nagem’s account skyrocketed.